This two family property exudes potential with stunning aerial views over downtown Gloucester accentuated by the vista of Gloucesters Historic architecture as you look over the gorgeous steeples and roof tops of St. Anns Church and City Hall and continue on to Gloucester Harbor, Eastern Point Lighthouse and beyond. The first floor unit consists of a large kitchen, living room, good sized full bath, 2 bedrooms, and an additional room that could be a small third bedroom or office. The second floor unit has a kitchen, large full bath, living room and 2 large bedrooms, one with a huge walk-in closet that provides the potential for a third bedroom. Each unit provides in unit laundry, and its own private deck to maximize the views. There is also a walk-up attic, a large full basement and separate utilities. 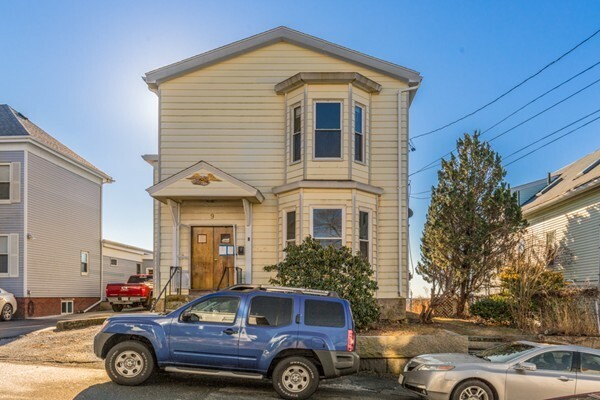 This central location provides quick access to downtown Gloucester, the Commuter Rail and Rte 128. OFFERS DUE TUESDAY JAN 8TH AT 5:00PM. Property will not qualify for FHA Financing.